Synopsis: Homemaker Alice Owens returns from a grocery-shopping trip to find her husband, George, slumped over their kitchen table, as dead as her love for him. Glad her strangled life with him has ended, she prepares for the arrival of her adult children—a daughter who hates her, and a needy son—who will inevitably show up for the funeral. But while cleaning out George’s belongings, Alice stumbles across enigmatic documents linking him to an African-American charity and a heinous crime committed over thirty years prior. 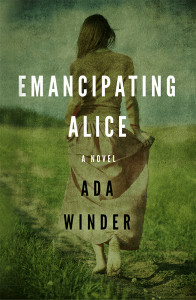 Will Alice finally gain the freedom she has always desired? Or will George’s secrets take her over the edge? Coming soon: a collection of short stories. As yet to be named!